What do you think Speaker of the House means? The presiding officer in the House of Representatives, formally elected by the House but actually selected by the majority party. The Speaker is third in line to be president of the United States and is the most powerful lawmaker on Capitol Hill. Speaker of the House is the leader of the majority party in the U.S. House of Representatives. Here's a list of all 62 of the Speakers of the House since forever. Because they have to power to recognize members who rise to speak, reorganize House committees, name committee chairs, and appoint allies to leadership posts, the Speaker of the House has enormous power and bragging rights at any House party. What makes the Speaker of the House so powerful? What is the Senate's closest counterpart to Speaker of the House? Do you have a speaker in your house, and how loud is it? 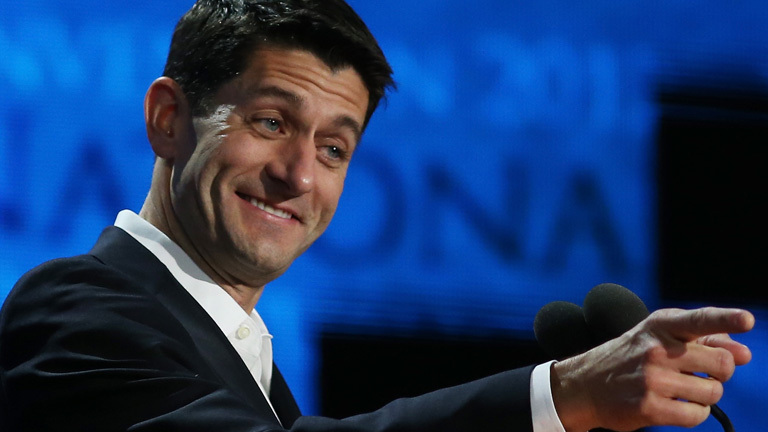 Do you think Paul Ryan is the hottest Speaker of the House ever?